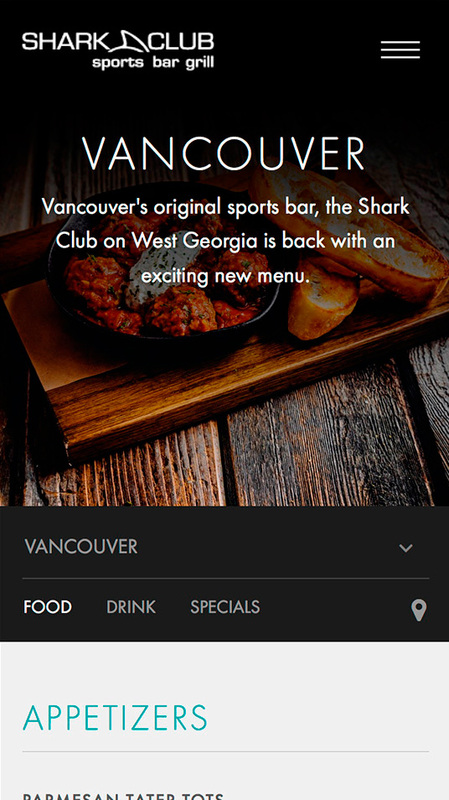 I developed the responsive front end of the website for the restaurant chain Shark Club. 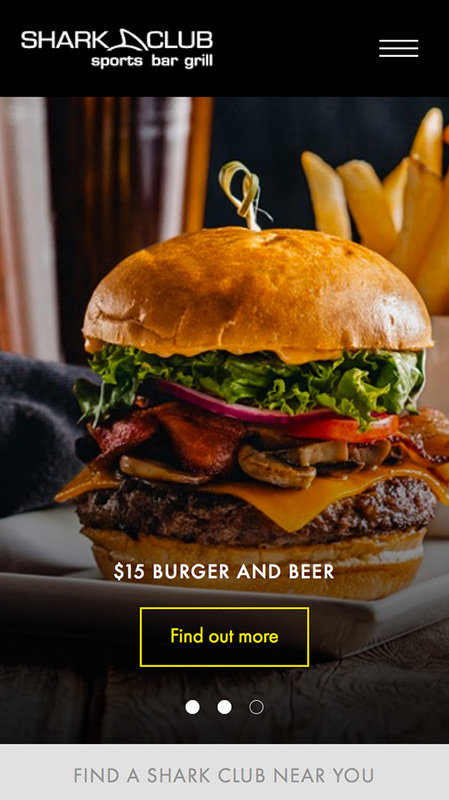 The main feature is the location detection/selection for restaurants close to you. You can either click the "locate me" button to let the HTML5 location API get your location and it will show you the 2 closest locations or you can select from a drop down. Your location will be stored in Session Storage to serve the right menu and restaurant information when changing pages. All the locations are added to the page as JSON, coming from Wordpress. The following code snippets are a rough explantion of how it works. If you are still with me after all that code here are some nice mobile screenshots, the website was optimized for mobile devices with a focus on the location service. I worked close together with the UX-Designer to give the user on a phone the information that is relavant to him as soon as possible. Which is the location closest to him and the menus.